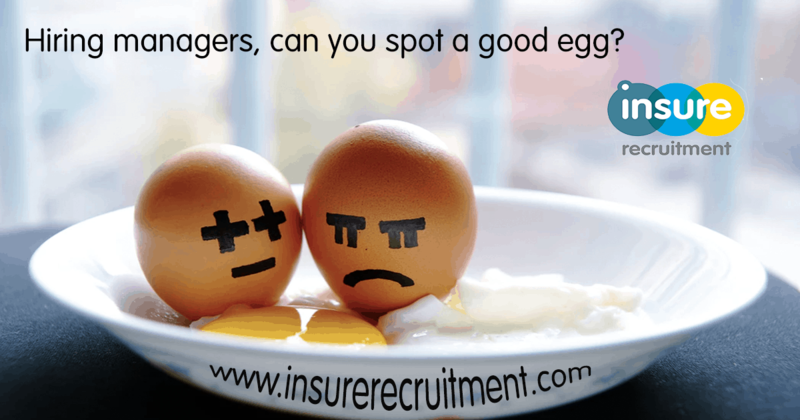 Can you spot a good egg?…..
Have you ever put a good word in for someone with an employer whose CV looked great on paper, but only to hear that they were a no show, not prepared or the right fit at the interview? It can be super awkward if you offer a referral and this happens! Thankfully there are some good tell-tale signs you can spot to see if candidates are the right fit for your organisation at the interview stage. Insure Recruitment have adapted and invested in leading video technology solutions. We now put video at the heart of everything we do! Because of this, we are different from most other recruitment agencies which you may be currently using, enabling us to screen our candidates and showcase their personality alongside their CV. We can provide our clients with short video introduction interviews of our candidates and can integrate questions which you have for your particular role. Ultimately, we want to save clients as much time as possible by giving you a more informed decision of who you bring into an interview and who is good for you to spend your time with. According to a recent study, a third of businesses make an immediate decision within 90 seconds of an interview on whether to hire or not! Contact our team members to book a demonstration on how our video technology will significantly reduce your time to hire.